Moses went forward, packing a stick. And we find out the Red Sea opened, ’cause a mighty wind followed that Fire, the Light of God. When man walks in the Light, then the winds follow. 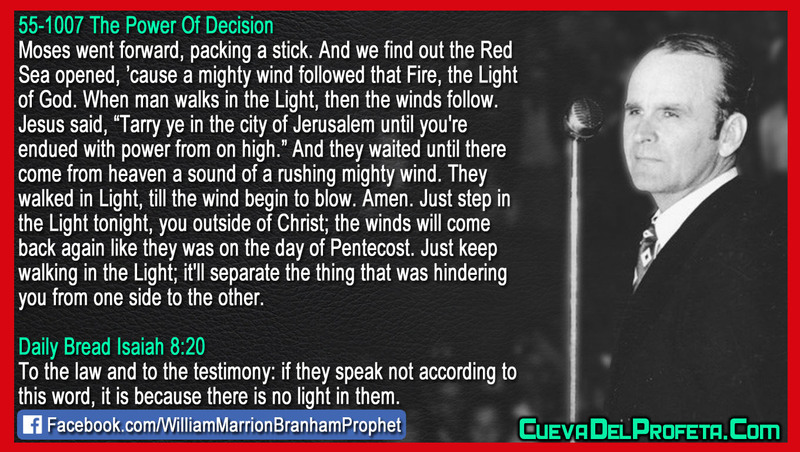 Jesus said, “Tarry ye in the city of Jerusalem until you're endued with power from on high.” And they waited until there come from heaven a sound of a rushing mighty wind. They walked in Light, till the wind begin to blow. Amen. Just step in the Light tonight, you outside of Christ; the winds will come back again like they was on the day of Pentecost. 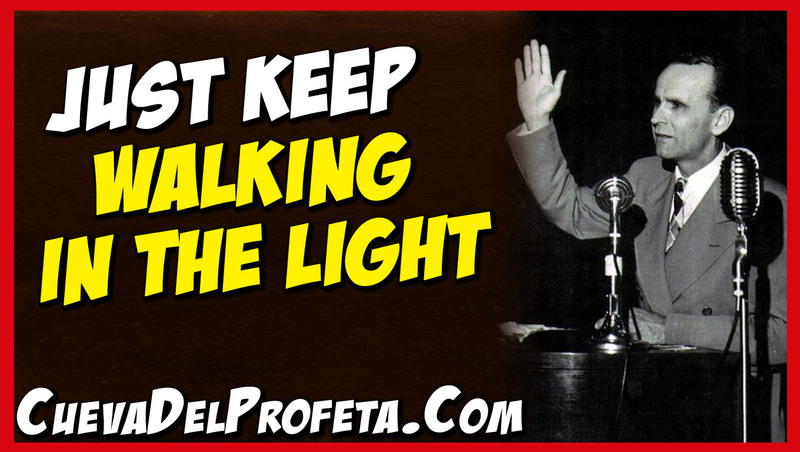 Just keep walking in the Light; it'll separate the thing that was hindering you from one side to the other.